Dr. Cedar is from southeast Michigan. She attended Michigan State University for her undergraduate studies, where she earned a Bachelor of Science in Psychology, and for Veterinary School. She graduated from vet school in 2017. She is currently working at a small animal general practice in northern Ohio, and before that she worked in general practice in Melbourne, Australia. She also does work with local vaccine clinics in Michigan between travels. 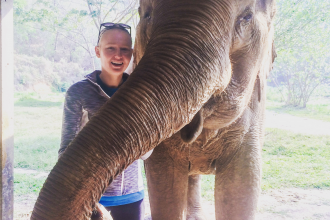 She first discovered her passion for international travel when she visited Thailand as a pre-veterinary student herself! 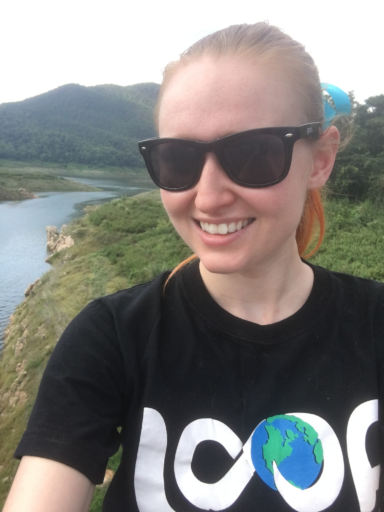 Since then, she has been back multiple times volunteering at Elephant Nature Park, studying an elephant virus, and working with Loop Abroad. She is interested in international veterinary medicine, eco-tourism, conservation, and One Health. She is the eldest of four siblings, and mother to a Persian cat named Ariel. In her free time, Dr. Cedar enjoys exploring new places, camping, rock climbing, and learning new skills. She is currently learning the ukulele and Thai language. Last summer she learned how to SCUBA dive and even got to go diving at the Great Barrier Reef!